In 1685 Governor Simon van der Stel was granted a farm and grazing rights on a vast estate he called Constantia. After his death in 1712 his property was divided into two portions – Constantia and Bergvliet. 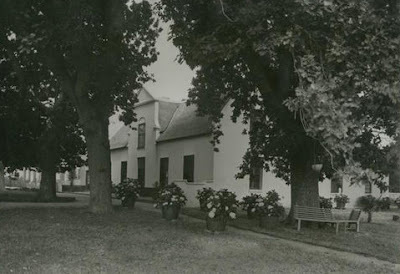 In 1769, Petrus Michel Eksteen acquired the farm and built the Bergvliet homestead (above) near Die Oog. The Homestead still stands, and was proclaimed a National Monument in 1989 (now declared a Provincial Heritage Site, Grade II). 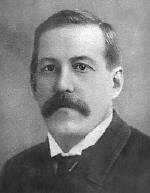 In 1865, the estate was bought by William Fredrick Hertzog. Upon his death in 1902, the estate passed to his sisters Mrs S.W. Purcell and Mrs. A.M. Jeffcoat. Dr W.F. Purcell, son of the former, managed the estate on behalf of his mother and aunt between 1902 and 1919, during which period he began to survey the flora of Bergvliet. 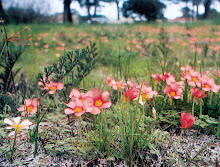 Purcell recorded and collected 595 plant species in the greater area of the Bergvliet Farm. 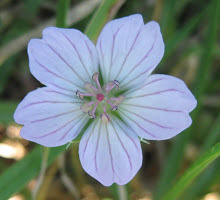 His specimens formed the core of the South African Museum's herbarium collection but are now preserved in the Compton Herbarium at Kirstenbosch. His "list" represents 26.4% of the flora of the Cape Peninsula. Following the death of Dr Purcell in 1919, the Reverend W. Jeffcoat assumed stewardship of the farm on behalf of the family. In about 1930, the farm was divided again, the Jeffcoats acquiring Bergvliet, and the upper or northern portion, Kreupelbosch, going to the Purcell descendents. 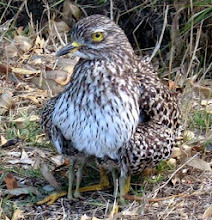 Today, the small natural remnants of the original farm – Die Oog Bird Sanctuary and Meadowridge Common – give us an idea of what the Bergvliet flats must have been like before their development. 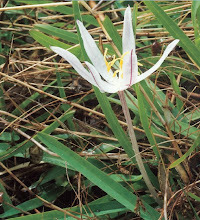 In the 1990s, Fiona Watson and Esme Morris identified several rare and endangered species of plants on Meadowridge Common including the protea Diastella proteoides and the bulb Moraea elsiae. 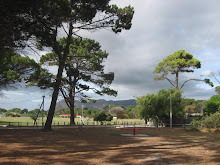 They formed the Friends of Meadowridge Common which comprises dedicated and interested citizens whose common interest is the conservation of this small natural remnant of the original Bergvliet farm. 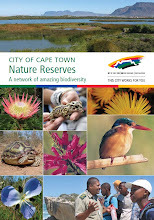 Extracted from “Bergvliet–Meadowridge–Diep River: Towards a local structure plan. Background report, March 2005”, prepared by Cindy Postlethwayt (Consultant: Strategic & Urban Planning), in association with Sustainable Energy Africa. To see the chapter on Bergvliet Farmhouse in the book The Great Houses of Constantia by Philippa Dane and Sydney-Anne Wallace (Don Nelson, 1981), click here.